hinking of doing a home renovation? Or perhaps putting your house on the market? Then you should know what sells your house best! The housing market is not slowing down and all signs point to a seller’s market. Your home won’t sell itself, so pay close attention to our expert tips on how to prepare your house for the market and how to increase the value of your home. Learn to improve the value of your home based on your budget with our top cost-efficient tips. We put these tips together in order to help you improve the look and feel of your home. First impressions are everything. The way your house looks from the street – attractively landscaped and well maintained – can add thousands to its value. For a few hundred dollars, hire a lawn service company to trim your lawn and shape your hedges. Creating a comfortable and beautiful place to sit down and relax will increase a home’s livable square footage and look more appealing to prospective buyers when you decide to sell. Outdoor living spaces allow you to get more use out of your property. Full outdoor living rooms, well-placed seating areas, outdoor dining areas and outdoor kitchens are all remodeling projects that can increase your home’s value. 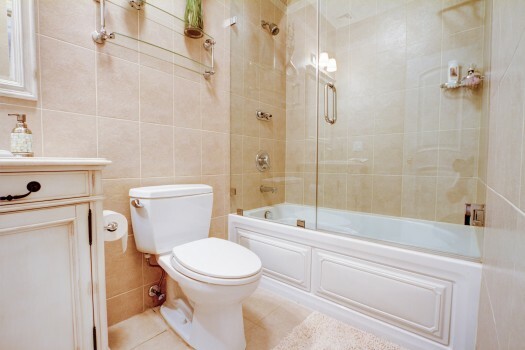 Beautify your bathroom; updates in this room are always a good idea. People like to feel relaxed, like they are in a spa. Focus on your faucets, countertops, vanity, lighting fixtures and the tile floor. Upgrade your bath area. And remember to keep it clean! Make the interior of your home shine from the moment someone walks through the door. Cleanliness counts. One of the simplest, most cost-effective improvements of all is paint. Freshly painted rooms look clean and updated – that spells value. Clear the clutter and remove everything that could turn the buyers away. If the potential buyer will see a mess in any of the areas in your home, they will conclude that you don’t take care of your property. Visual space is important. If your house looks pristine and clutter free it will make a great first impression. The key is to make each room in your house feel larger. 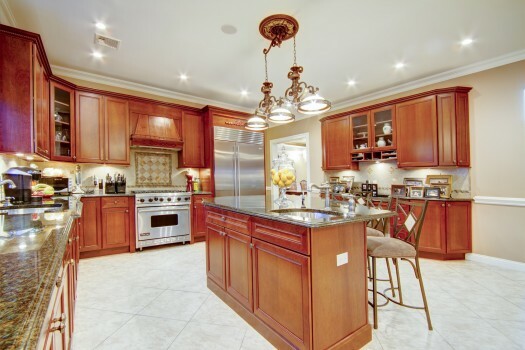 The room that has the biggest impact on a homebuyer is undoubtedly your kitchen. For maximizing your home’s value, kitchen updates are key. Consider painting or refinishing your kitchen cabinets, installing a new tile backsplash, switching out your old appliances to new ones, adding an island, replacing the flooring and changing your lighting. A new and updated kitchen will surely grab the buyer’s attention. Deteriorating roofs, termite infestation or outdated plumbing or electrical systems – you can’t fix it if you don’t know it’s broken. Hire an inspector to check out the areas of your home that you don’t normally see. They may discover hidden problems that could negatively impact your home’s value. Buyers want assurance that basic systems in your home are in working order and won’t need to be replaced or repaired in the near future, issues that will most likely be addressed in the home inspection. Repair it and forget it! Invite a realtor to tour your house. Spend an hour with a pro by requesting a consultation with your local real estate professional. After the tour they can give you lots of ideas for needed improvements. Even small suggested improvements, such as paint colors or furniture placement, can go a long way toward improving the look of your home. A good professional should also have a great network of local experts they can recommend for certain home improvement projects.